The Queen of Soul Aretha Franklin will be receiving a honorary degree from Brown University at their 241st commencement, on Sunday May 24th. The Grammy-Award winning Queen of Soul Aretha Franklin will receive an honorary doctor of music degree. She was named the No. 1 female vocalist of all time by Rolling Stone magazine. Among Franklin's most famous recordings are "Respect," "A Natural Woman," and "Chain of Fools." She sang "My Country, 'tis of Thee," at the January inauguration of President Barack Obama. In 2005, Franklin received the Presidential Medal of Freedom, the nation's highest civilian honor. Not to be out done The King of Motown, Smokey Robinson will soon have an honorary degree from Berklee College of Music. Robinson will also give a special commencement address to an expected 850 Berklee graduates. The iconic singer is well known for both recordings and songwriting including his solo hits, 1979 and 1981 hits "Cruisin'" and "Being with You". 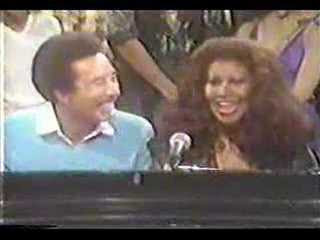 Here is an unrelated video of Aretha Franklin and Smokey Robinson performing together in 1967 with Frankie Valli.